Darian, also known as Kosmo, founded Kosmo’s Q in 2009, producing spice mixes, sauces, and injections. 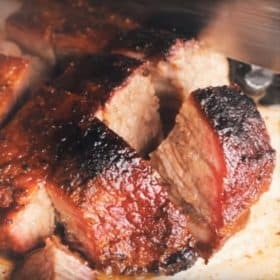 Kosmo started in the barbecue world at the age of 13, where he worked at Wilds Fish Farm, brining chicken, slicing brisket, rubbing ribs, and smoking poultry. 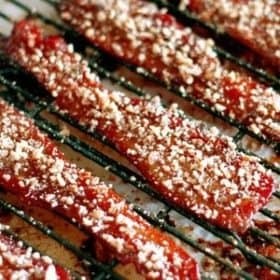 He entered his first BBQ competition in 2003. In 2015 he was awarded the World Steak Championship and the World BBQ Championship, putting both his name and his company’s name on the map. Kosmo Q’s first product, an injected Original Beef Brisket, was sold out of a linen closet. Today, they sell over 10,000 pounds of spices of month, to consumers all over the United States, UK, and Switzerland. 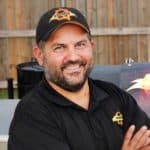 Kosmo Q’s attends over 30 BBQ competitions a year, including the American Royal, Jack Daniels World Cook-Off, and the Chest-to-Chest World Brisket Cook-Off. His family, including his wife, son and two daughters, are based out of Oklahoma. 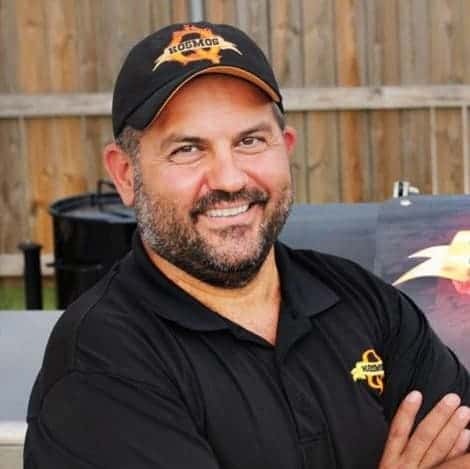 Kosmo’s Q started as a passion project to bring family and friends together through the world of BBQ, and has turned into a business that sends BBQ products around the world.